What better way to spend a Friday evening, than a sleeping household, coffee, Netflix on my phone with earbuds in (sleeping household remember?) 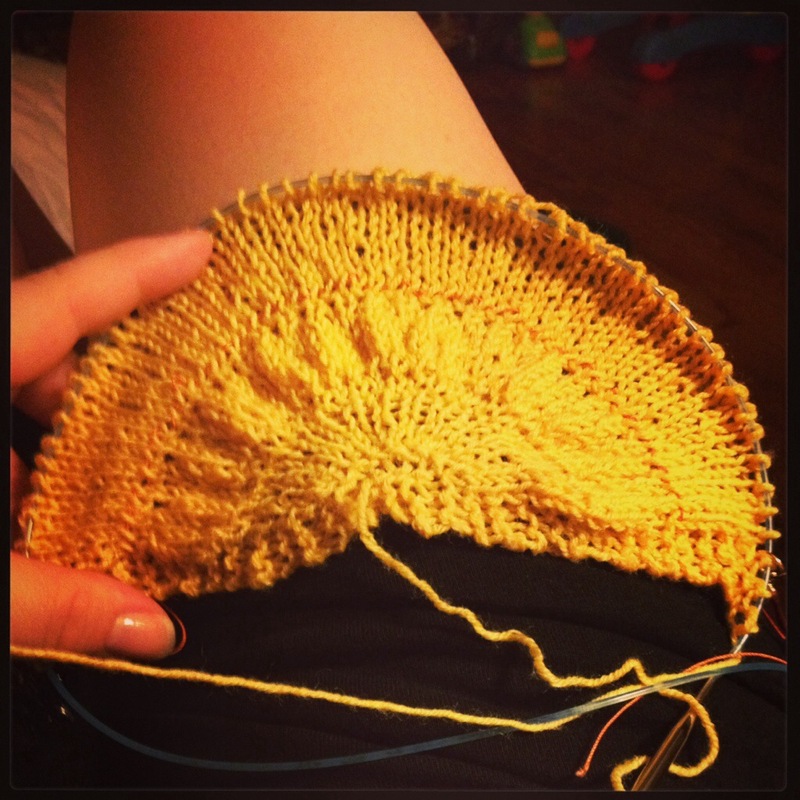 and finishing my Citron shawl? Not many better ways, that’s for sure and they all include my family and/or the addition of a glass of wine. I am a fairly monogamous knitter which makes binding off very bittersweet. On one hand, I have a beautiful, almost complete new addition to my wardrobe and on the other hand, I have no more knitting. Do you remember The Fog sweater I knit for my husband a few years ago? No? Go back and and do a search on my blog for Fog. I finished it in Jan 2010. It is a lovely sweater. And thick. I’ve been threatening to frog it for months or longer. 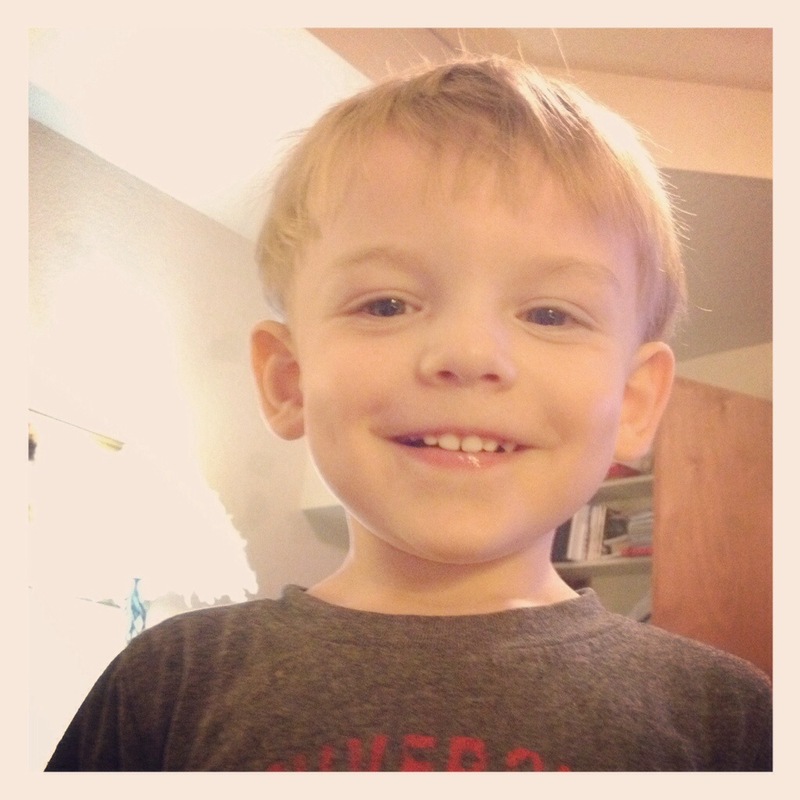 As soon as my sweet little guy goes to bed tomorrow, it will meet it’s fate. That means my no more knitting will be solved very soon. In addition to knitting a new sweater, I have 3 socks worth of sock yarn to knit. After listening to Jasmine from the Knitmore Girls podcast talking about her sock drawer and seeing all the sock drawers posted on the Ravelry thread, I took a look at my own sock drawer. I have 2 pairs and Jim has 1. How is this possible? I am so jealous of all of everyone’s pretty hand knit socks. I need to purchase new needles for this because my smaller sets of needles met a terrible end. That’s the bad thing about wood needles. Two brand new pairs of wood needles snapped when the bag they were in got stepped on. I may have cried. I really would like to take the 52 pair plunge starting in January, but I don’t know if my yarn budget will allow me to purchase that much yarn. I may see what I can do. I have much to think about. My beautiful Citron is nearing the end, but the last section has seemed to be slow going. This is not just because it has so many more stitches but because I had lots of distractions the last week. Last week I hardly slept so I was a little slow moving and I was having trouble making complete sentences let alone follow a pattern! My weekend wasn’t filled with knitting either. Saturday I spent in bed with a headache. I love my sweet little boy, but he has this bad habit of throwing his head around when he’s mad. Long story short, he didn’t want to put his pjs on Friday night and head butted me in the eye and gave me a black eye. My head hurt so bad Saturday and I couldn’t open my eye half of the day. It finally felt a better late Saturday afternoon. Sleep fixes everything! Sunday we went for a little family trip. We live in Northwest Arkansas and live about an hour away from lovely Eureka Springs. We didn’t do a whole lot other than walk around, but I had a great time just hanging out with my fellas. I highly recommend Eureka Springs to anyone that is going to be in this area. If nothing else, the drive through the Ozark Mountains is worth it. 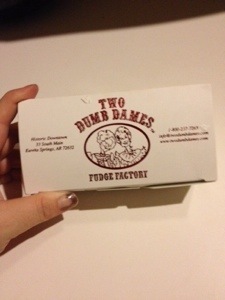 If you do visit and you like fudge or taffy, be sure to visit Two Dumb Dames fudge shop. The Heath fudge is to die for. They also have an online shop, but they only ship 3 days a week to ensure freshness. Go buy some now. You won’t be sad that you did. After an exciting and restful weekend I finally made it through the last section last night after I finished paperwork. I had to catch up on the latest episode of Bones so I sat in the living room and watched Bones on Hulu on my phone and finished the last section. Now on to the ruffled edging! Just 11 rows left before I bind off! Hopefully I will get it finished in the next few days and will be able to take a finished picture! I haven’t put as much time into knitting this weekend as I could have because my sweet baby boy had a birthday on Saturday. I will come back to knitting in a minute. Let me just tell you his party was doomed. I almost cancelled early on because of some issues and decided not to. Well we should have cancelled in the beginning because we ended up canceling on Saturday a few hours before the party. There were a few issues factoring in the decision and it turned out to be the best decision. The cake was terrible, I was feeling under the weather, the storm caused my hubby to be in a lot if pain, Jonathan took an early nap, and we were very content to just hang out and all pile in his room and play with his new toys. I can’t believe I’m the mother of a two year old. So playing with toys and hanging out with birthday boy in between feeling like poo only left me with a little while to knit. I have completed another section on my Citron so I only have two sections left. They are getting to be long rows though, so I don’t expect them to go by very fast. I think I will have it finished this week if I work hard on it and use my time wisely. I am wanting to do some charity knitting this year. I am a slacker when it comes to knitting. I have all these huge plans on what I want to knit and then I start one project and frog it and then another and I find the UFO a few years later. I am very much a planner but occasionally my follow through is lacking. It’s one of those things I am trying to work on about myself. In the town I live, there is a homeless guy. Note me rephrase that, there is a particular homeless guy that I have wanted to knit for probably since I learned to knit. I don’t have money to give, but I would love to knit him a nice warm thick scarf and beanie for cold days. Maybe I will knit him gloves and thick wool socks too, but let’s face it, I haven’t knit anything yet. Maybe I should make a deadline for the scarf and hat. Then I can wrap it up with some food to give to him next time I see him. I have some other projects that I want to knit, charity wise, but I think I need to only commit to one or two at a time or they will never get done. I will be starting the scarf next weekend. I think that would be good. I also want to finish my little monster I am knitting before too long. It’s a fun fur monster that I’m just winging the pattern on. It’s going to be cute I think. I hope. Fingers crossed. I hate knitting with fun fur and I love it at the same time. I love to touch fun fur. It draws happy feelings from deep inside, but then it’s impossible to see stitches, and it looks like a sad muppet so I don’t like it at the same time as I love it. It’s definitely used for projects few and far between and it’s always gifted to me. Anyway I can’t wait to have some finished project pictures. 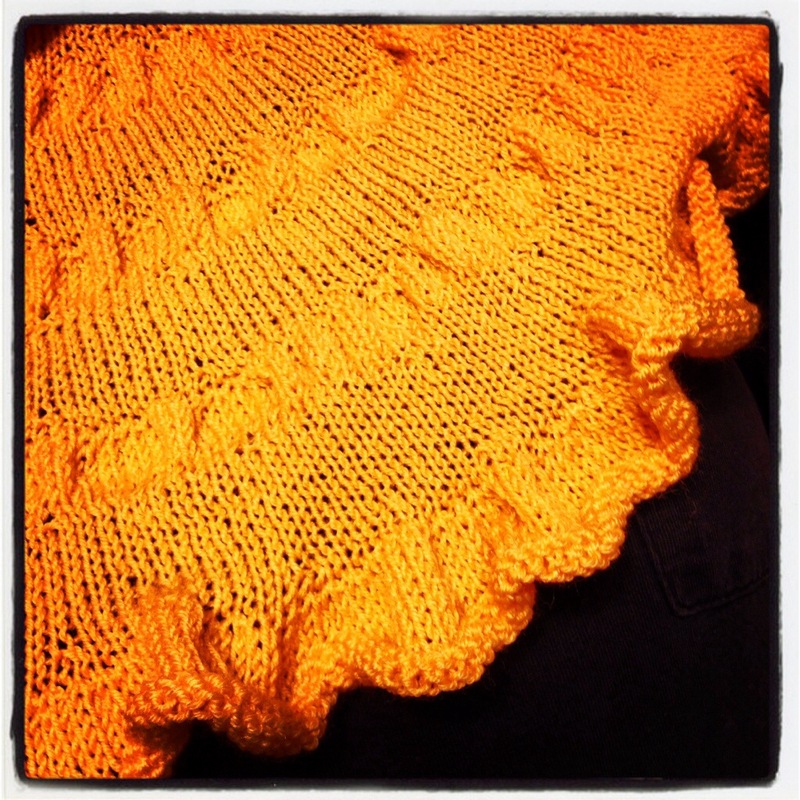 I am very happy with the decision to knit the Citron instead of the Nutkins. The pattern is the right amount of simple and complex so I don’t get bored and I’m not having to pay so much attention all the time that I can’t do other things at the same time. It’s coming along nicely but I haven’t had a lot of time to knit since I cast on. Here is what I have so far!